Hi all. 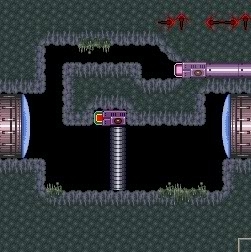 I'm here again to show you two neat tricks that can give a more "Redesign" feel to your Super Metroid hack! Let's get started! Tired of having to have that button right next to the gate like below? Well, this time, I'm going to show you how to extend the properties all the way to the pink button above. Before we start however, I want to point out that there are some minor flaws. But don't worry, they won't mess anything up. - This requires many PLMs. The further the second button from the original, the more needed. 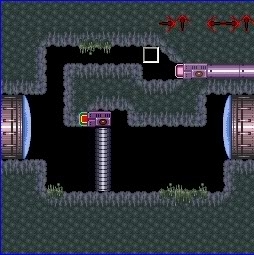 - The second button must ALWAYS be above the the gate. I'll explain why later. 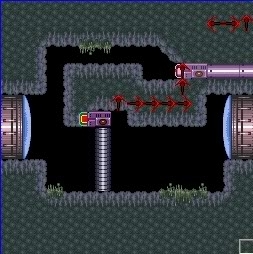 - Using Missile and Super Missile gates are safe. Beam gates are situational and Power Bomb gates are a no no. I'll explain in a sec. So now that you're infomred on some important things, let's start. In the above picture, I'm sure you realized a nice little room I built. Go ahead and build it if you need to. Now say we want toenter through the left door and exit through the right. Rearrange and set things up to the button on the gate will point right now (below). See these? These are what's going to make this process possible. Now, if you've used SMILE enough, you know those red arrows carry the properties of the PLM they touch right? Well if you set them up right you can carry the property of the button a fair distance, much like below. Notice how the arrows are set up. Before branching off, one line must end and not follow into other arrows. 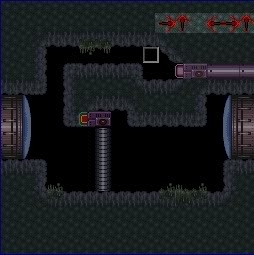 Now if you go and try this, you'll find that shooting the other button will open the gate. Congrats, you've done good work, but now I'll explain the downsides. Here is a different situation, we see the arrows are cutting through free space. Do not do this. What do the red arrows do again? Hint: they carry properties of a PLM. So if the button is a solid PLM, you've just made an invisable wall. This is why the new button must always be above the gate. Another point, how can you break these gates (and I mean literally break the gate)? Well, if a proejectile pass through more than two lines at once the gate will break. As a final note, to get the gate to work, red arrows must be hit from their sides otherwise the collision is disreguarded. 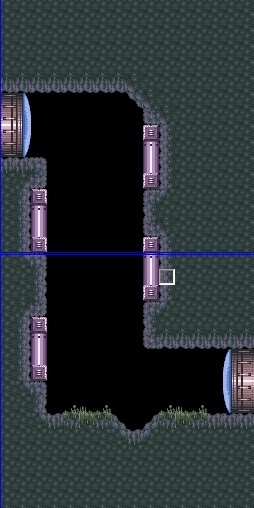 - This shouldn't require too many enemies, but depending on how many places you can walljump, this varies. - Can't avoid the enemy shake glitch (at least untill a hex change is found to negate it =). - Shooting these enemys could mess the trick up so use at own risk. Yes, this will involve smart enemy use. Another lovely room set up for you. Now we just need an enemy. Once you have them, turn them into one of these here shutters. And now, just slide the shutter enemy right over where you want to be able to walljump. Done. Hopefully this was helpful, as quickly thrown together as it was. Happy hacking everyone!